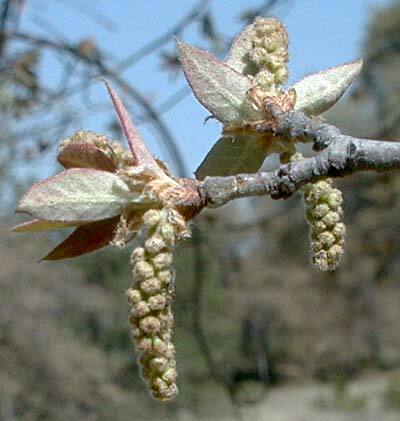 Notes: Male and female flowers on same tree; male in drooping catkin; female in sjort spike. More than a dozen species of Quercus in Arizona. Emory Oak plant profile on the USDA Plants server.